Cheesecake is believed to have originated in ancient Greece, where records mention it being served to athletes at the first Olympic Games in 776 B.C. The Romans spread cheesecake from Greece across Europe, and then centuries later it arrived in America. Cream cheese was an American addition to the cake, and by the 20th Century the classic New York style cheesecake was born. Traditional baked cheesecakes are now produced widely by bakery companies. A more modern take on the product is an unbaked aerated cheesecake, manufactured by dairy companies and sold in single portion retail pots. KaTech can help you develop both traditional baked and unbaked aerated varieties of cheesecake. For traditional baked cheesecakes we offer a range of stabiliser systems designed to control batter viscosity and produce a firm, dry cuttable texture in the final product. For unbaked aerated cheesecakes we have a range of stabiliser systems designed for budget through to luxury recipes. We can help you ensure you choose the right stabiliser system to ensure the best possible product is achieved, based upon your recipe and process requirements. Whichever type of cheesecake you are looking to develop, talk to us today about how we can help your food business succeed. A number of issues can arise in the production of cheesecake – and we can help you overcome these. The main issue which can occur when making baked cheesecakes is cracking in the middle, during or after baking. Our solutions can help you avoid this problem. KaTech’s technical team will also be happy to discuss the systems we can develop for you to control batter viscosity. Contact us today if you are having issues with your products. We would be glad to help. We are committed to helping you create the best product possible – for less. There are a number of ways we can help you reduce the costs of ingredients and production in the manufacture of cheesecake. Firstly, we can help you find ways to reduce the amount of cheese required, while ensuring texture and mouthfeel quality are maintained. 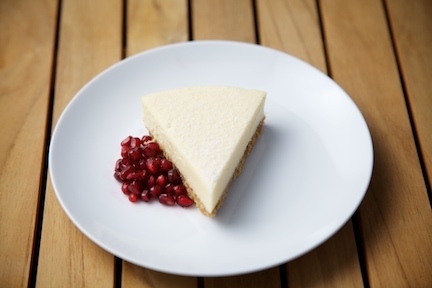 We can also work with you to reduce the cream content of the cheesecake, whilst maintaining a creamy mouthfeel. Costs can further be reduced by replacing cream with vegetable fat. Talk to us today about we can reduce your costs, while creating successful products.